Dave Bonneywell has a long, distinguished industry career and is also a highly respected teacher. He started in the industry in 1992 at Image Animation and was workshop supervisor there until 2002. He has since worked with Neil Courbould, Creature Effects, Spectral Motion, Tony Gardner and Millennium FX as well as being a freelance designer, writer and production artist. 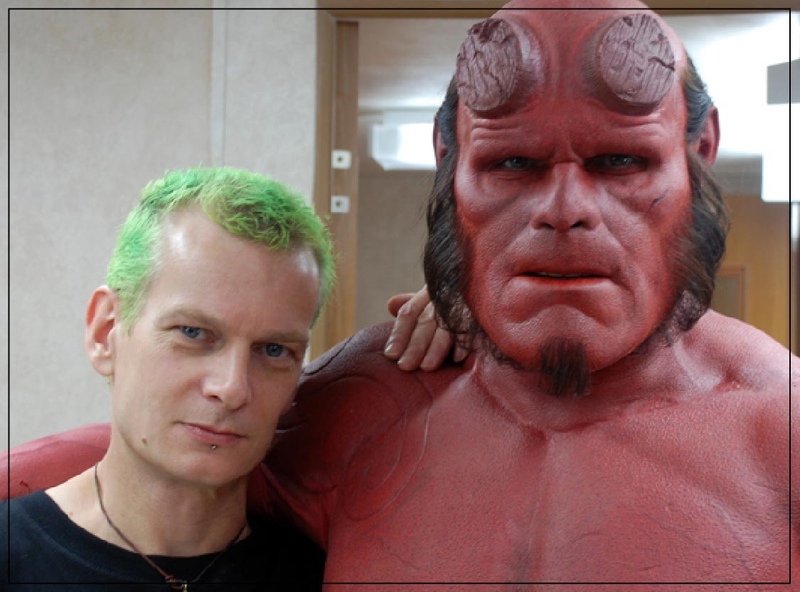 He does all aspects of prosthetics from make-up application to mould making, is an incredibly skilled sculptor and creature/character designer and supervised the effects on many of his credits. He is also a regular tutor at Gorton Studio. To date Dave’s career has seen him work on a large number of high profile feature films including ‘Event Horizon’, ‘Ronin’, ‘Dog Soldiers’, ‘Beyond Borders’, ‘Troy’, Oliver Stone’s ‘Alexander’, ‘Seed of Chucky’, ‘28 Weeks Later’, ‘Harry Potter and the Half-Blood Prince’, ‘Hellboy 2: The Golden Army’, ‘Clash of the Titans’ and up-coming ‘Victor Frankenstein’, having been lead sculptor on the last two titles. His television credits include ‘Wizards Vs Aliens’ and ‘Doctor Who’, on which he has performed a supervisory role on many occasions. Most recently Dave did the concept design for new monster ‘The Fisher King’, shown only a few weeks ago.